Lizard Labs is the home of award-winning software for Microsoft Windows operating systems. Our products range from professional system utilities to components and libraries for use in software development. We concentrate on the needs of our customers and our programs offer unsurpassed quality and usability. Take a look at our software, and find something that makes your work easier and more enjoyable. 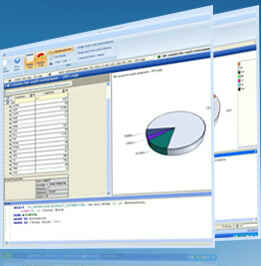 Log Parser is a very powerful and versatile query software tool that provides universal query access to text-based data, such as log files, XML files, and CSV files, as well as key data sources on the Microsoft Windows operating system, such as the event log, IIS log, the registry, the file system, and the Active Directory services. Because the command-line interface is not very intuitive, we have created Log Parser Lizard, a free GUI tool for managing queries and exporting results to Excel and charts. 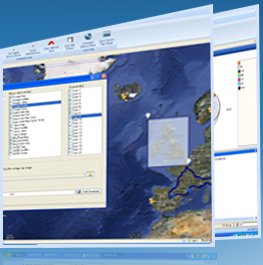 Whether you need maps for your business or in your personal life, you need to experience the comprehensive mapping software within out Ultimate Maps Downloader. Ultimate Maps Downloader is a detailed mapping software that allows you to download map imagery, topographic and road maps from various map servers. All downloaded small tiles are saved on the disk and then combined in one map image for offline use. Now you can take these files with you on the go, or print them out for your own mapping uses. But thats not all... You can also find locations by coordinates or name/address using geo-coding services or find nearest venues and tips from Foursquare. You can choose from over 600 POI icons and add markers to selected locations and even calculate routes on your map. Report Fabricator delivers an easy to use report designer with a rich set of components, including tables and charts, so business users can build data-driven reports with minimum effort. You can also use the report viewer to preview and export the reports to various file formats, including PDF and HTML, and provide information required for monitoring and making intelligent decisions. Report Fabricator can load data from major data providers like Microsoft SQL Server, MySQL and many others. Security is incredibly vital to online business. Technologies designed to meet security requirements have evolved over time, but the requirements have remained relatively constant. These requirements include Authentication, Authorization, Integrity, Signature, Confidentiality, Privacy and Digital Rights Management. We provide you with software for Microsoft Windows and top quality components “XSign XML Signature Component” for digital data signing and “XEnc XML Encryption Component” for encryption (using X509 certificates) that meets these requirements implementing XML encryption standards recommended by W3C and IETF. Both components are available as ActiveX for Internet Explorer and XPCOM for Firefox. Now you won’t need to worry about the security of your online business information. 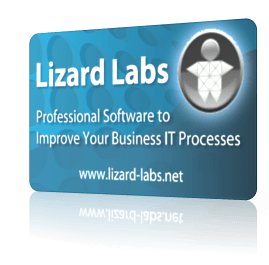 Lizard Labs will provide the best, most detailed software applications and software for Microsoft Windows to enhance the usability and efficiency of business applications. Lizard Labs continues to work on updating and creating better software enhancements, and will become your trusted source for all your software application needs. 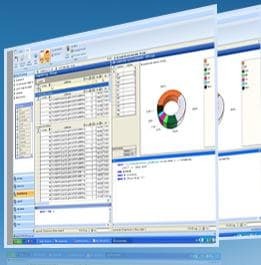 A very powerful, free and versatile tool that provides universal query access to text-based data, such as log files as well as key data sources on the Microsoft Windows systems. UMD can download map imagery and road maps from various map servers. Tiles are saved on the disk and then combined in one map image for offline use. Report Fabricator delivers an easy to use report designer with a rich set of components so business users can build data-driven reports with minimum effort. Building dashboards using the designer is as simple as loading data from Excel file, selecting the UI element (Chart, Pivot Table, Data Card, Gauge, Map, TreeMap or Grid) and dropping table fields on corresponding arguments, values, and series. New version 6.8 of Log Parser Lizard released. New version 1.0 of Dashboard Studio released. New version 4.7 of Ultimate Maps Downloader released. New version 1.0 of Report Fabricator released. 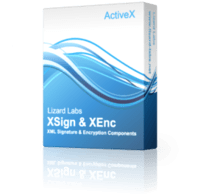 XSign ActiveX component can sign XML documents using user’s private key stored in X.509 certificate. XEnc ActiveX component can encrypt XML documents using user’s public key stored in X.509 certificate.